Available only to Oregon residents, Call Desk, Inc. hires both part time and full time virtual receptionists (agents) who meet these minimum requirements. Their agents are employees, not independent contractors. 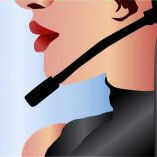 How Can You Become An At-home Customer Service Agent? There’s been a lot of buzz in the call center industry regarding the use of home-based call center agents. While a relatively new phenomenon, the use of US-based workers in geographically dispersed locations has allowed call centers to grow, and manage growth, while maintaining higher levels of customer satisfaction. In fact, the use of at-home customer service agents has been hailed by many… >>Continue reading How Can You Become An At-home Customer Service Agent? Got a Phone And a Plethora of Patience? Once upon a time, a l-o-n-g time ago, I worked for a major department store’s call center, taking phone-in orders from their catalogs. For those of you who don’t remember what it was like back when you received catalogs in the mail and then either had to pick up the phone or fill out a form and mail it in with a check, you’re… >>Continue reading Got a Phone And a Plethora of Patience? I saw this job posting in the Mom Bloggers Club newsletter today. Wow, I never would have thought I’d run across a nursing-related position that actually offered a telecommuting option but today I did just that. Sometimes I get asked about whether or not I keep up a resume and whether or not anyone looking for a telecommuting job should. So I figured I’d take time to answer that question today. Then I found an article that already does just that (and from an expert in the topic of resumes, no less). Not too long ago I wrote a rather snarky piece about Finding Telework, prompted mostly by people commenting and sending me emails wanting to know THE place online to find legitimate jobs. I braced myself for some strong feedback because I tried to speak the truth and let’s face it, total honestly isn’t always well received.